These bags are made to order, so can be customised to your requirements. \nStickers can be personalised to suit your theme and ribbons changed at no extra cost. \nPlease leave us a note in the order comments if you require any \ncustomization (20 words max.) or don't require any stickers at all. 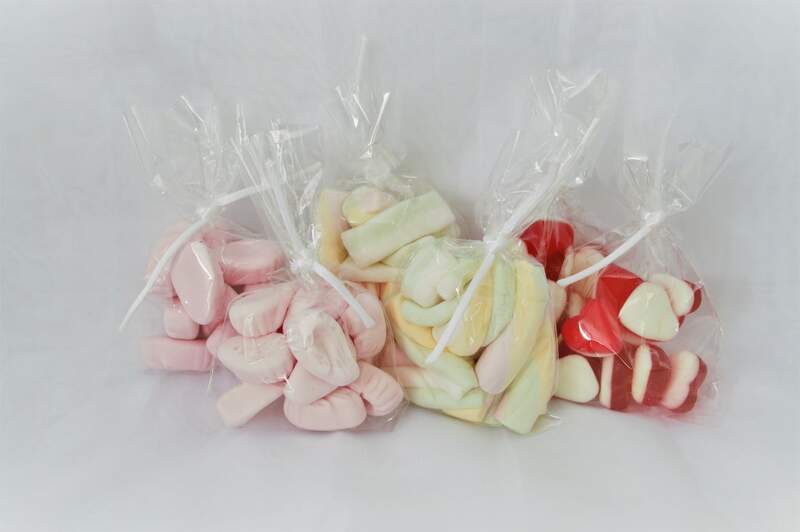 Other sweets avaialable on request. 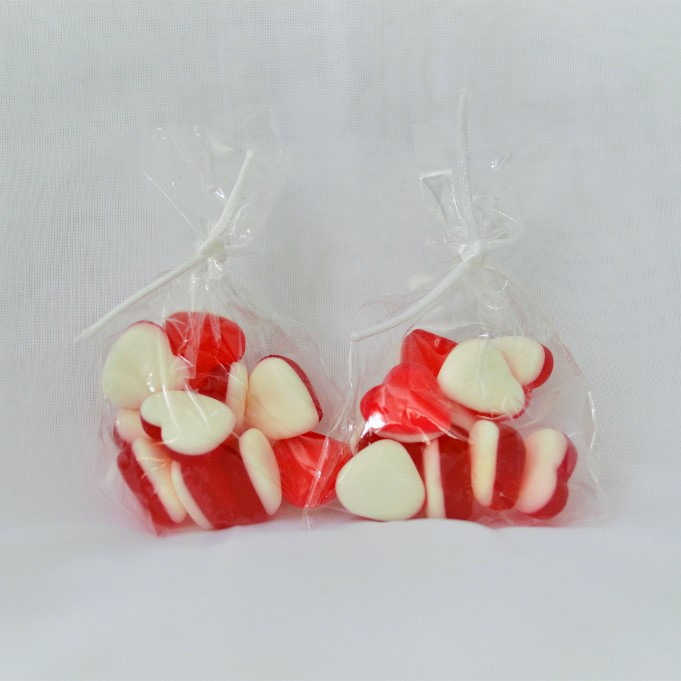 Another great idea for party favours are these Jelly Heart bags. They make a great gift for children's parties, baby showers or any other event. Each bag contains 10 Jelly Hearts. These bags are made to order, so can be customised to your requirements. Stickers can be personalised to suit your theme and ribbons changed at no extra cost. Please leave us a note in the order comments if you require any customization (20 words max.) or don't require any stickers at all.